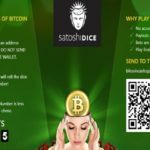 Bitcoin Games has added Bitcoin Cash to its accepted payment methods, offering its players more freedom when playing their small but solid collection of games. Bitcoin Cash is a fork of classic bitcoin, first established in 2017. This new payment method allows for processing of more transactions due to it increasing block sizes from 1MB to 8MB. It has no Segregated Witness either, which removes specific parts of a transaction to free up more space within blocks. Bitcoin Games will now be catering to customers who use one or both of these cryptocurrencies, expanding its reach even further. 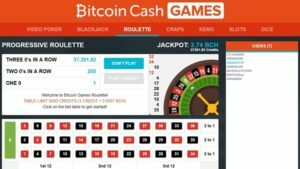 While some online casinos have been wary about accepting Bitcoin Cash alongside Bitcoin Classic, Bitcoin Games’ acceptance of the new payment method may pave the way for more widespread usage. 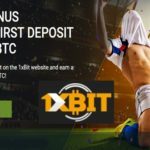 Bitcoin Games is an online cryptocurrency casino with a real difference: it refines the registration process further, making it easier to start playing. Bitcoin Games creates a new account for everyone who visits the site, with the user ID displayed at the top of the screen. You can return to your unique account by copying the URL found in your account tab, and because Bitcoin Games doesn’t wait for confirmation, your bitcoins are transferred from account to account instantly. The range of games are not quite as big or striking as those at other bitcoin casinos; there are no slots based on big-budget movies, no live-dealer games. The options here are much more simplistic and streamlined, but no less entertaining. Just one slot game is available at Bitcoin Games, featuring colourful symbols like the bitcoin logo, diamonds, rocket ships, and more. 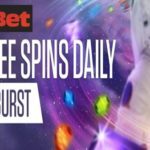 You can use the same facilities as on other slots, such as adjusting the number of paylines and bets. Roulette, Craps, Video Poker, Keno, and Blackjack are all available at Bitcoin Games too. It’s quick and easy to jump from one category to another, and all of the games are provably fair to ensure a secure process. All games have an expected return to player of 99%. Join Bitcoin Games now and click on the payments button at the top of the page, to switch between Bitcoin Classic and Bitcoin Cash.